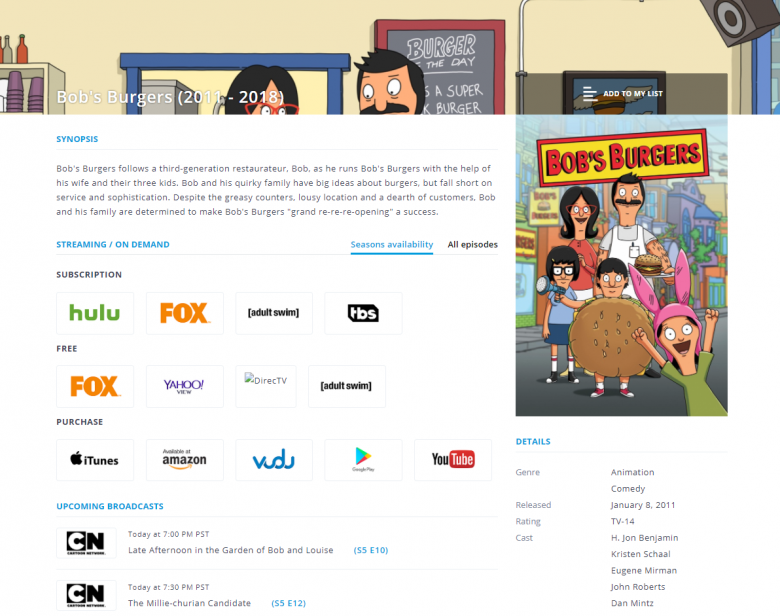 LOS ANGELES - Feb. 21, 2018 - PRLog -- Media startup Bundler today launched the Bundler Viewing Guide (BVG), a free, web-based aggregator of streaming and TV listings that provides viewers with a single destination and simple interface to search listings, browse personalized recommendations, and launch selected content with a single click. Today's TV fans spend an inordinate amount of time and energy navigating a fragmented and confusing TV and streaming landscape. The number of apps serving video content, each with its own menu and "walled garden" of programming, is exploding. And users, who increasingly subscribe to multiple streaming and TV services, find themselves constantly switching between app menus and devices to find what they're looking for. The BVG eliminates the hassle and frustration of the current, fragmented user experience by aggregating program listings into a single interface that allows users to quickly see which movies and episodes are available across all platforms and services. 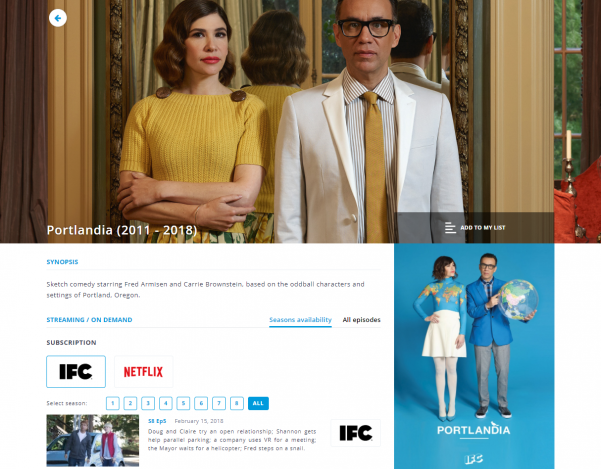 In just a few seconds, a user can search any show or movie, view a summary of availability and pricing, and, since the BVG provides direct links to each piece of content within provider apps and websites, launch a chosen episode or movie with a single click. The BVG also helps users make the most of their subscriptions by highlighting noteworthy shows and movies within the enormous libraries of popular streaming services. Bundler's editorial team creates and maintains "playlists" in various categories (e.g. Newly Available, Expiring Soon, Acclaimed, Hidden Gems, etc.) and these recommendations are filtered down for each user based on which services they subscribe to and the types of content they care about. The BVG also helps users discover new shows and movies – and browse without the anxiety and paralysis of too many options – by aggressively excluding "filler" content a user likely doesn't care about. "We've all had the frustrating experience of switching between apps and inputs to find a show or movie—many of us do it every day," said Bundler Founder Daniel Ornstein, a former FCC official and Warner Bros. executive. 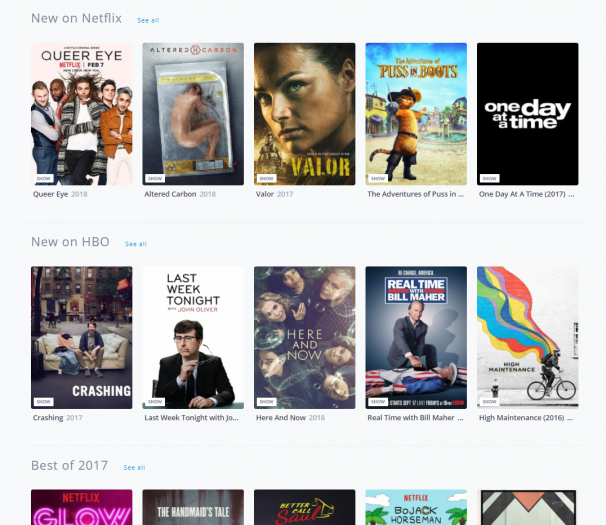 "Our new Viewing Guide provides a single destination where viewers can easily see where episodes and movies are available across platforms and services, keep track of the shows and movies they care about, and discover new shows and movies without being overwhelmed by tons of extraneous content." Today's launch marks the culmination of 18 months of development and data integrations. 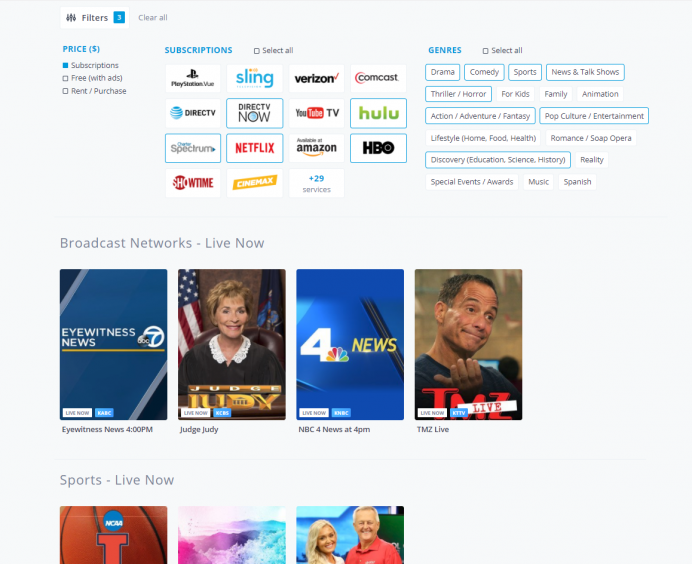 The Bundler Viewing Guide brings together content listings from 200+ streaming apps and on-demand services as well as channel lineups and broadcast listings for 100+ TV packages, including "skinny bundles" like Hulu Live TV, YouTube TV and others. The free, web-based app is currently available at Bundler.tv and the company expects to release apps for Roku and iOS/TVOS in the coming months. 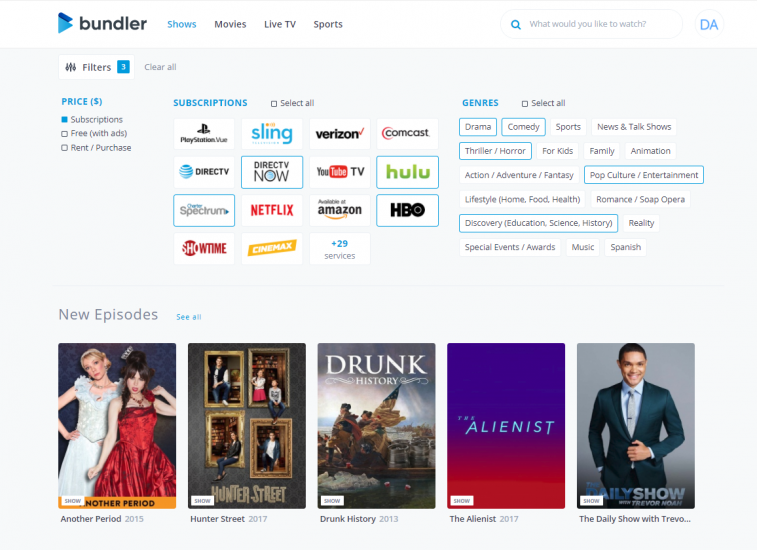 Founded in early 2016 by former FCC official and Warner Bros. executive Daniel Ornstein, Bundler is focused on improving the TV and streaming user experience for the era of cord-cutting and streaming fragmentation. In early 2017, the company launched a "Cord-Cutting Quiz" and Account Management Tool to help users navigate the confusing and quickly evolving pay TV landscape. As Director of Business Development at Warner Bros. and Advisor to the Chairman of the FCC, Daniel Ornstein has been at the forefront of media disruption for the past decade. He is best known for spearheading the groundbreaking Veronica Mars movie project, the first major-studio film made in partnership with fans using Kickstarter (and one of the first simultaneous digital and theatrical releases of a studio film.) Ornstein served as Special Assistant and Advisor to the Chairman at the Federal Communications Commission from 2009-2012. He began his career at the streaming video startup Click.tv, which was acquired by Cisco in 2007. Bundler is based in Los Angeles and backed by pre-seed angel funding.